This morning the wind was still 30 plus mph and gusting higher. If we waited for it to abate we would still be there. We left Rawlins at 9:00AM. 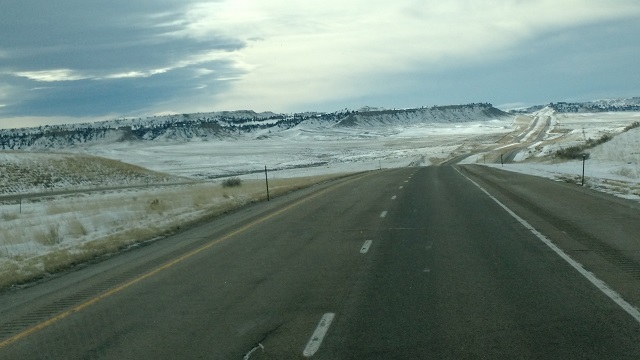 We had a beautiful sunny day for driving through western Wyoming. A lot of steep grades. We went past Rock Springs, Green River, Little America, Kemmerer and Evanston. 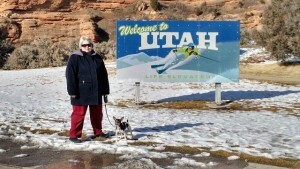 We got to the Utah Welcome Center at about 12:30PM. I went in to get a Utah highway map and also got Nevada and Arizona. We stayed on I-80 until the turn to Heber City and Provo. The scenery here is extremely beautiful. We could see a lot of ski slopes. There is a large reservoir which was really pretty with the ice and snow. We drove on I-15 through central Utah past Provo, Beaver, Cedar City and St George, across a northern tip of Arizona and Beaver Dam to Mesquite, NV. We are parked behind the Eureka Hotel and Casino. We ate in the casino at the Mason Street Cafe. They serve breakfast all day. Cathy had an omelet and I had biscuits and gravy with sausage patties. It was very good and reasonable. We started out early. Went to Flying J and filled with gas $1.82. As we were leaving the car beside us signaled to open our window. I did and he said the Jeep was making funny noises. I listened through the window and it was. Pulled over and moved the transfer case lever out of Neutral and back. Seemed to quit. Put it in 4 WD and it seemed to work. 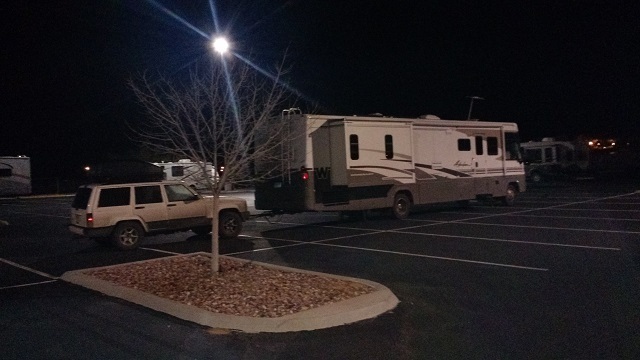 Drove on to Casper, WY via Midwest, WY. It was windy, but a good road. Got to Casper and the wind was gusting to 65 mph. Road sign warned of danger of roll over on WY-220 to Rawlins. Decided to park at Walmart and wait it out. Got the Packers Seahawk Game on TV, started the generator and watched the game. A gust broke the stop on the large slide topper. Watched the game and at 5:10PM decided to drive to Rawlins on WY-220. Wasn’t too bad, steady 20 to 30 mph wind, gusting to 40, 2 lane mountain road with lots of curves, ascending to 7,500 ft and dark. Got to Rawlins and started for Rock Springs. Almost got blown off the road. Stopped at Flying J and filled with gas $1.92. 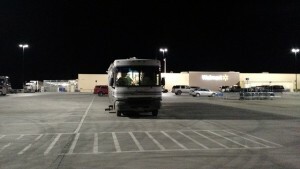 No parking places left, so went to Walmart in Rawlins. 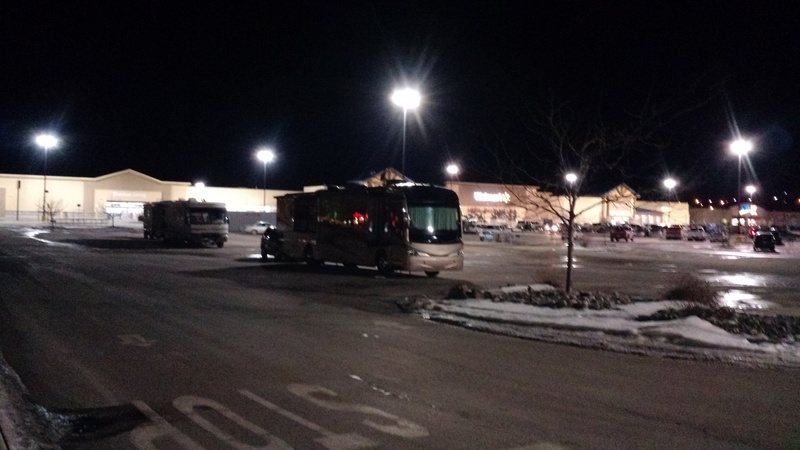 Very small Walmart with a small parking lot. there were two motor homes parked in the lot. A Class C and a new Class A. The slide topper on the Class A was ripped off. Went to start the generator to use microwave. It wouldn’t start, ran fine in Casper. Cathy made a salad for my dinner and isn’t having any thing herself. Can’t put out bedroom slide because of wind. Wind is forecast to be just as bad tomorrow. Warm in Bismarck this morning, 38F. 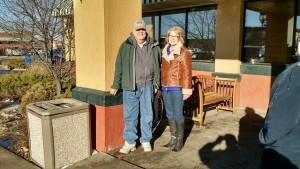 My friend Gary and his wife Inez picked us up at 9:30AM and took us to breakfast at Perkins. Talked mostly about our various health issues. I finally got hold of my sister Judy, her phone was on silent. We went up to see her and Cary and their new addition Meme. 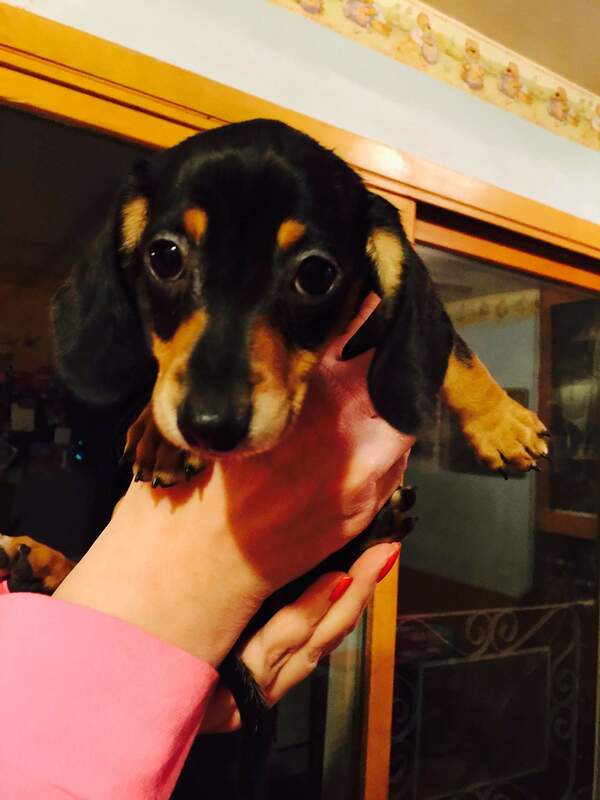 Joy played with another of Judy’s Dachshunds, Money and Meme, but didn’t have time to really get into playing. We left Judy’s at 12:30PM and headed west against WNW winds of 35 to 45 mph, gusting to over 50 mph. We stopped at the Freeway 147 Travel Center just west of Mandan. 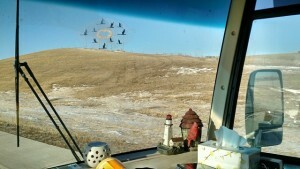 They have a Flying J sign, but it only pertains to the diesel truck side. I didn’t get a gas discount, but he gave me a free cup of coffee. Payed $1.99/gal. 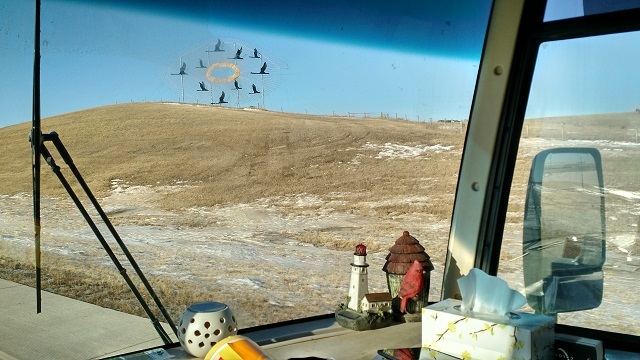 On the way west to US-85 we passed the Enchanted Highway “Flight of Birds” sculpture. It is the largest free standing metal sculpture in the world. We turned on to US-85 at Belfield. 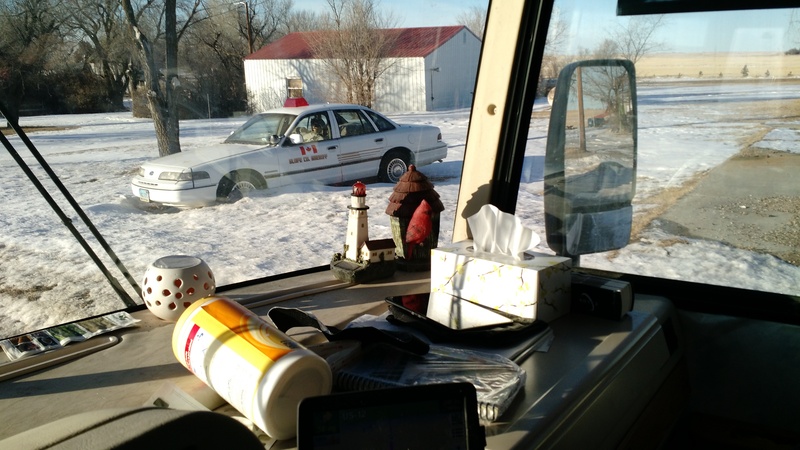 We caught the Slope County Deputy sleeping in his car. 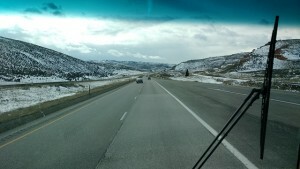 We stayed on US-85 until Spearfish and then headed west into Wyoming past Sundance to Gillette, WY. 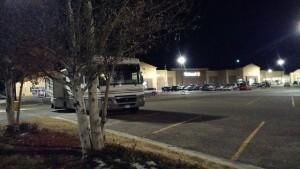 We got to the Walmart in Gillette at 7:40PM Mountain Time. There was already another North Dakota motor home parked there. We parked and noticed a Dicky’s BBQ right beside us. Walked over and got two Saturday Specials, beef brisket with two sides and drink for $8.99 each. We will each get another meal out of it. At 5:30PM we finally got going. We had a strong east wind and slightly slippery road on I-29. When we got to I-94, the wind shifter to the south and the road continued slippery. A couple of miles east of Sterling, the towed vehicle lights on the Jeep started flashing. Stopped at Sterling and found theat the cable had dropped down to the highway. Spliced it and got on our way. 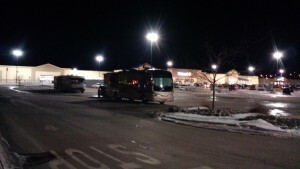 We finally got to the Bismarck Rock Island Place Walmart at 10:45PM. Cathy made us salads. After eating I went into Walmart to get a few things. One of the things we needed was small paper bowls. They didn’t have any and looked like they never do. Finally getting ready for bed at 12:40AM. It took us a little longer than we planned to get the garage cleaned up, but it looks like we will leave Friday the 16th of January. Slight set back this afternoon. Our handicapped son had to go to the emergency room. Tests and every thing look fine. He has 99.8 degree temperature. He is very sad to see us leave. We finally have a working furnace in the new house. Now that the furnace is in they will start to do the taping. 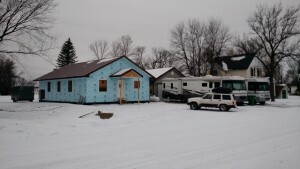 While the weather is nice they will try to get the siding done. I was able to dump the holding tank, but still have to fill the water tomorrow. A few things to put in the Cherokee and motor home. 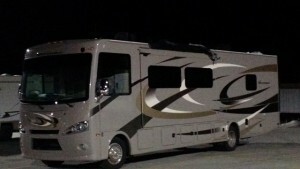 Also some things to take out of the motor home that we’ve used while living in it. 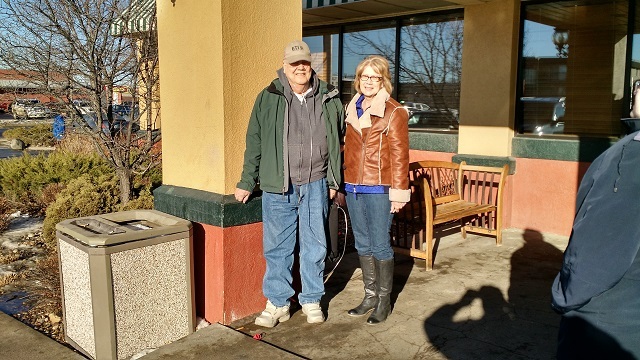 We will be stopping in Bismarck to see my oldest friend Gary Arman. We’ve known each other since 1st grade, finished high school together and went to Europe for a year together. 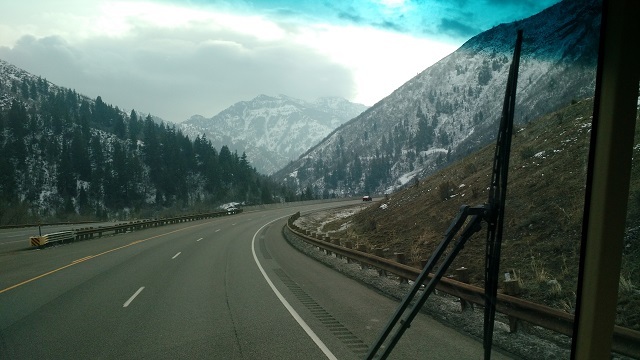 We will then head west on I-94 to Belfield and then south on US-85 to Spearfish, then west to Gillette, WY then to Casper, WY, then to Provo, UT, then to Las Vegas, then to Quartzsite, AZ. Hope to get there on Monday. We are starting with a new BLOG this year. We hope to begin our travels Sunday January 11th. We started building a new house by demolishing our old house Friday October 17th. It only took about 45 minutes to demolish and 6 hours the next day Saturday to haul it away. Then about 2 hours on Sunday to dig the foundation. 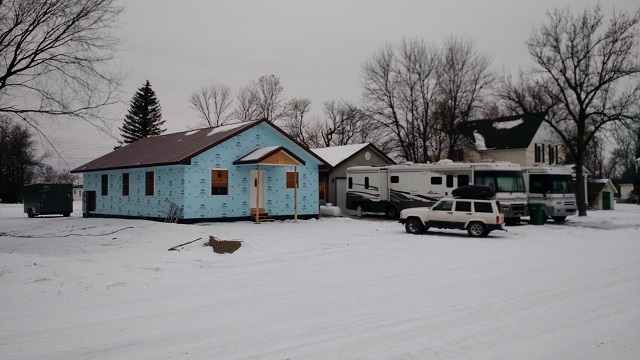 Although we have had cold weather, every thing fell into place and we now have a house totally enclosed, roof finished, wiring and plumbing roughed in and furnace in place. 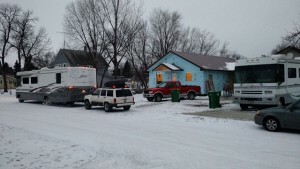 We have been living in the motor home since the demolition. We have been down to -14F. We had a cleanout installed in the sewer so have been able to dump. We have to haul water from a neighbor across the street. We are going to see -20F or lower in the next 4 or 5 days. we will try to post every day once we start. Will post our problems and progress as we get ready to leave.